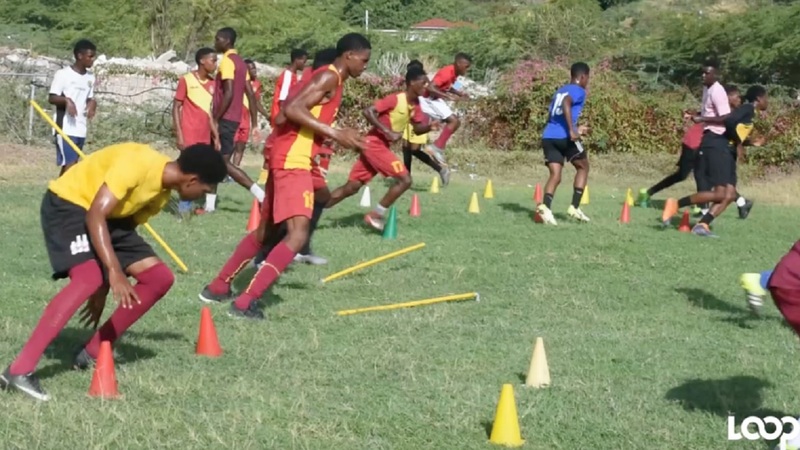 Members of Wolmer's Boys' School Manning Cup squad having a training session earlier this week. The 2018 schoolboy football season is expected to one of the best with Manning Cup and Walker Cup knockout title sponsors Digicel promising to bring a new level of energy, fun and excitement to entertainment at the matches. Earlier this week, Digicel and Wisynco were confirmed as title sponsors of schoolboy football for the next three years. Digicel, in its second stint as title sponsors, will invest $75 million over three years in the urban area Manning Cup and Walker Cup knockout competitions. 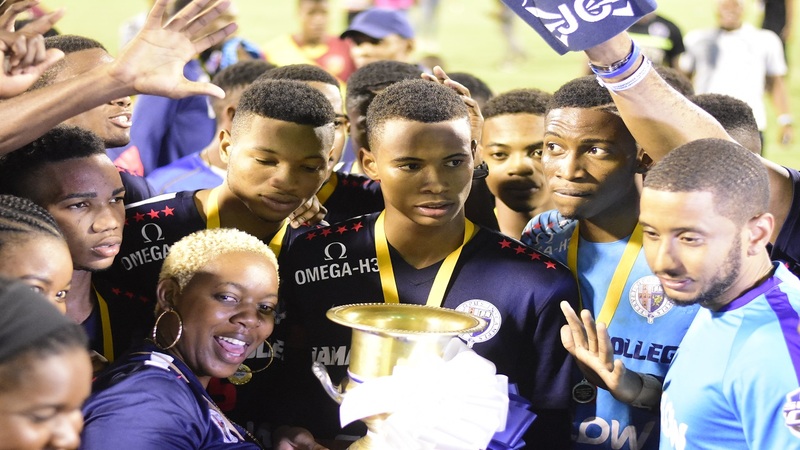 Wisynco announced a sponsorship package of close to $100 million in the rural area daCosta Cup and Ben Francis knockout. The 2018 season is scheduled to kick off on Saturday, September 8 and the Loop team of reporter Job Nelson and Videographer Marlon Reid have been following the teams in the off season. We start the ball rolling with Wolmer's Boys' School. The Wolmerians are looking to rebound from last year’s first round exit from the urban area Manning Cup schoolboy football competition and with three Under-23 invitees, who also play in the Red Stripe Premier League, they are hoping to have a good season. Alex Thomas is expecting great things from his charges in his first head coach role, after being the assistant since 2009. Wolmer's have not won the Manning Cup since former wonder kid Ricardo ‘Bibi’ Gardener inspired a 1994 victory, which had broken a 23-year drought. A victory would also give Wolmer’s their 11th title. For coach Thomas, although he has only retained five players from last year’s team, in Tajay Griffiths, Nickache Murray, Cleon Haynes, Benjamin Phillips and Gregory Bryce, he has reinforced the Heroes Circle-based institution with recruits, although not willing to name them just yet. 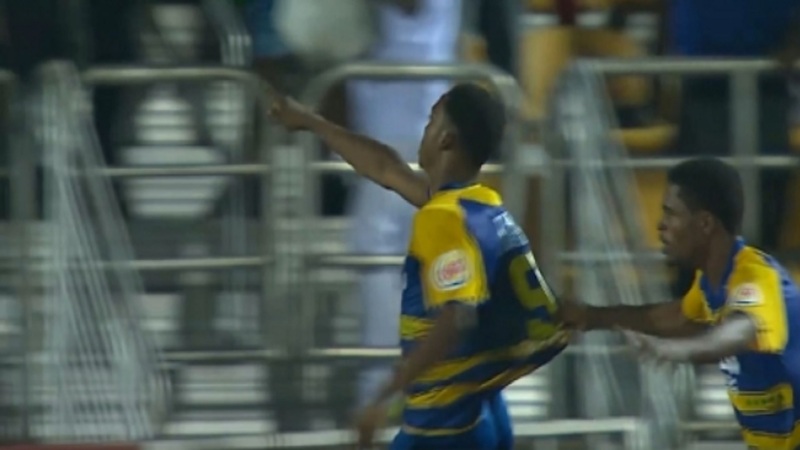 In addition, Thomas believes that despite losing Tyrese Bennett to St George’s College, enough quality has been supplied to him from last year’s Colts team. Thomas said, “expect great things. We lost one player, Tyrese, who left for St George’s, but we have young players that are coming through the ranks from Colt, Under-16 and they are doing quite well. “To be honest, all players. I don’t really want to highlight individual players. 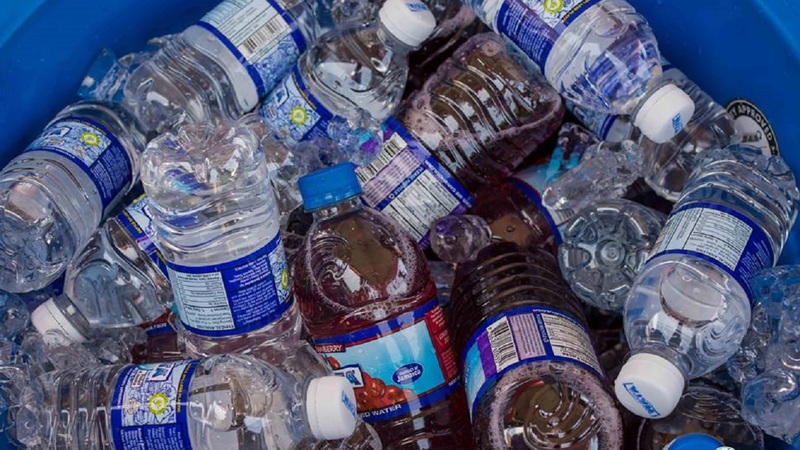 It is a team effort and we are a team and all players will do their job in each department." Thomas said the preseason went well with the players responding positively to the work, which he hopes they will put in more, to be in top shape for the start of the season. Both Griffiths and Murray agreed. Both Griffiths and Murray were a part of the disappointed team from last year, which was conditioned by Rudolph Speid. Murray said a breakdown in leadership resulted in Wolmer’s poor season in 2017, a year after the school had won the Super Cup knockout title. Griffiths, plays for Harbour View in the Red Stripe Premier League with Murray donning the colours of Cavalier, while Kimani Gibbons turns out for Portmore United. Wolmer's are drawn in Group G alongside Edith Dalton James, Holy Trinity, Jose Marti, Pembroke Hall and Waterford. Wolmer's will begin their campaign away against to Jose Marti on Saturday, September 8.